A 5-0 victory against Venezuela set up Chile’s return to Group I, Americas in the Davis Cup. Chile will take on the Dominican Republic in March. Santiago played host to the draw of the Davis Cup, with the International Tennis Federation electing US tennis official David Haggerty as their new leader. A new innovation for the Davis Cup will see fifth sets end on a tiebreak, ending the marathon matches in the teams tournament. Since losing to Barbados in Zone II, Chile have been on the comeback trail, crushing their opponents 5-0 in each tie. Paraguay was first in 2014, with this year bringing victories against Peru, Mexico and Venezuela. The Chilean team will have more of a challenge in their return to Zone I, with the Dominican Republic the next challenger. The Dominicans had the opportunity to progress to the World Group, but were overpowered at home by Germany. Chile will be looking to avenge a heavy away defeat from 2013 when they host the tie in March. The winner will go on to play Colombia in July. Hans Podlipnik has been Chile’s best performer in 2015, winning all five of his Davis Cup opportunities. 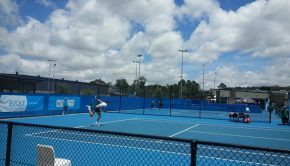 “H-Pod” has cracked into the top 100 doubles players after five Challenger tournament victories during the year. 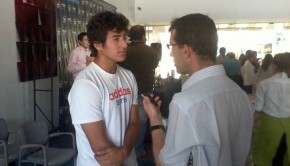 He also remains Chile’s top ranked singles player at 167. Juan Carlos Sáez is ranked in second at 230. Poldipnik caught the attention of the crowd with a spectacular diving volley during the Davis Cup clash against Venezuela. 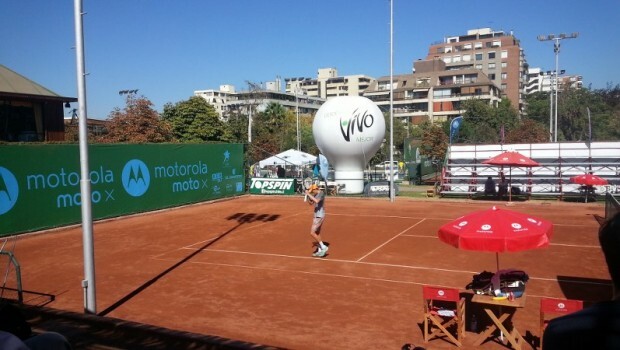 Chile’s sixth Futures tournament of the year will take place at Club de Tenis Santiago. 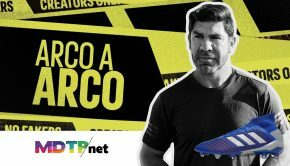 Jorge Aguilar, Guillermo Rivera and Cristobál Saavedra are among the local hopes for the tournament. The F7 competition will take place in Rancagua.